RAW HOLLYWOOD : NEW MUSIC: FALL OUT BOY FEAT. 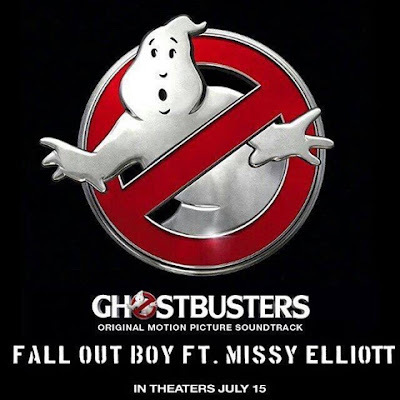 MISSY ELLIOTT "GHOSTBUSTERS (I'M NOT AFRAID)"
NEW MUSIC: FALL OUT BOY FEAT. MISSY ELLIOTT "GHOSTBUSTERS (I'M NOT AFRAID)"
Missy Elliott has jumped on a new track alongside Fall Out Boy entitled "Ghostbusters (I'm Not Afraid)". Both artists represent for their genre of music to create a rock/rap infused record of the 1984 Ghostbusters theme song. The original song was created by Ray Parker Jr., but this remake revamps the song with a modern day twist. The movie soundtrack also features songs by G-Eazy & Jeremiah's called "Saw It Coming", along with Pentatonix, Elle King, 5 Seconds of Summer & Walk The Moon. The soundtrack will be released on July 15 which is also the same day the movie will be released in theaters.